This image shows the long-range perception capabilities of Volvo and Luminar's advanced lidar system. 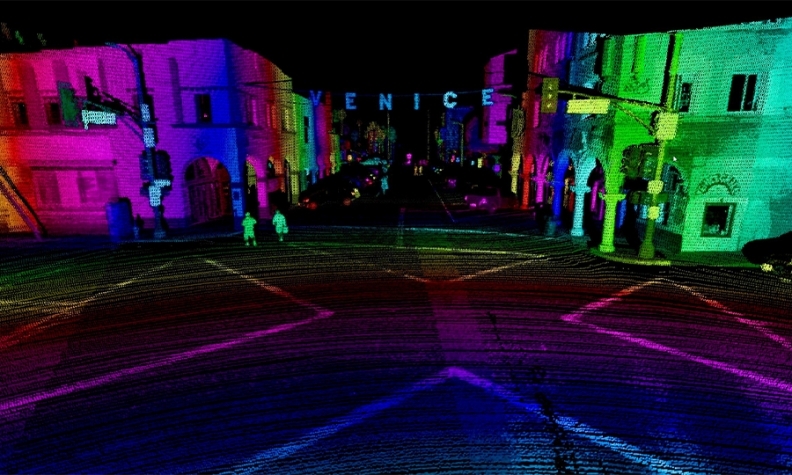 Volvo’s lidar partner, Luminar, has seen a rapid increase in companies entering the sector. He’s not worried, however, about falling behind. “They are pretty much all using various iterations of the same off-the-shelf products,” he said in Los Angeles last week ahead of the auto show there. Using 1550 nanometers, however, comes at a cost.